The United States has Bigfoot and Roswell, Germany has the Pied Piper and Krampus, Japan has Jinmenken and Yamauba. Folklore is an inherent part of any culture. Passed down from one generation to the next, we can learn a lot about a community's ideas and values from the tales that they tell. Britain has a rich history of such tales, tall or otherwise. Here are five of the strangest examples that we've found just for you. The village of Woolpit in the English county of Suffolk derives its name from the large pits that it once used to keep dangerous wolves at bay. Legend has it that the very last wolf in England was caught in one of Woolpit’s traps. However, the village’s wolf pits are better known for capturing something else entirely. At some point in the 12th century, the villagers of Woolpit found two children - a brother and sister - at the mouth of one of their wolf pits. According to medieval writers, Ralph of Coggeshall and William of Newburgh, the children had green skin, wore strange clothing and spoke an unknown language. 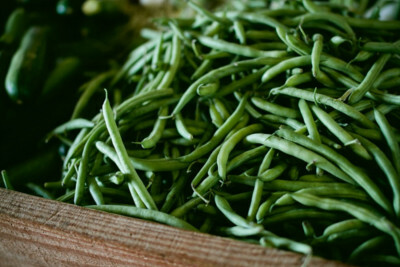 The children appeared to be starving, yet they refused to eat anything other than raw beans. The boy - the youngest of the two siblings - eventually became sick and died. The surviving sibling gradually adapted to life in Woolpit, eating other foods and learning to speak English. She eventually lost her green colouring. She explained that she and her brother came from a land where everything was green and it was always twilight. The children had become lost while tending to their father’s cattle, having followed the herd into a cave. They followed the sound of bells out of the cave, but emerged in Woolpit rather than in their homeland. Several explanations have been put forward for these strange accounts. The siblings may have been the children of persecuted Flemish immigrants, orphaned following the Battle of Fornham which occurred near to Woolpit. Their green-tinted skin could be attributed to malnutrition-induced chlorosis. A more sinister theory suggests that the green colouring was the result of arsenic poisoning, with the two children having been poisoned by their scheming uncle. 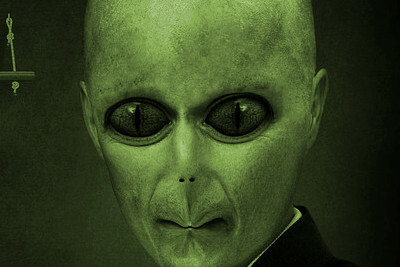 Another unavoidable theory as to the pair’s origins has also been suggested: They were aliens. The spring of 1976 was a particularly peculiar time in the English county of Cornwall. The weather fluctuated between extreme cold spells and extraordinary heat waves. Animals in the region exhibited bizarre behaviour, with packs of dogs, feral cats and birds terrorising the locals. 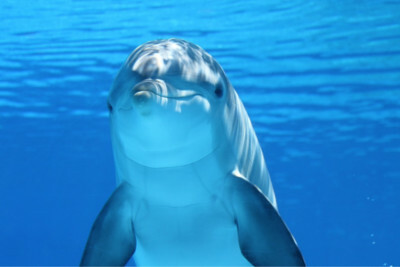 Even dolphins were not immune to the insanity, allegedly attacking swimmers off the Cornish coastline. There was also an increase in the number of reported UFO sightings in the area. However, the strangest occurrence to be linked to these unearthly happenings took place in the Cornish village of Mawnan. Two young girls - June Melling, aged 12, and her sister, Vicky, aged 9 - were spending their Easter break in the small village, along with their parents. Enjoying a stroll through the woods one day, the sisters were struck with terror when they saw a large, feathered “bird man” hovering around Mawnan Church’s tower. The pair immediately ran to find their parents. Unable to properly communicate what they had seen to their bewildered parents, June drew a picture of the nightmarish creature. 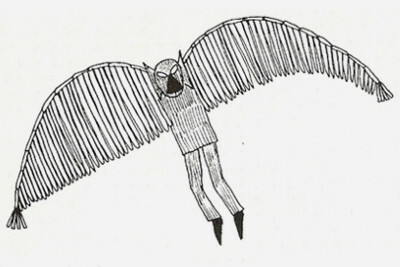 With the appearance of a feathered man with a head and wings not unlike those of an owl, the beast was soon dubbed “Owlman”. The children were so shaken by what they saw that their parents decided to cut their holiday short and take the girls home. The same creature was reportedly seen several times between 1976 and 1978, with later sightings occurring in 1989 and 1995. All of the sightings occurred near to the church where the Melling sisters first encountered the Owlman. The physical appearance of the creature remained fairly consistent in all accounts, being described as grey with glowing red eyes and black claws. The owl-like creature was also consistently said to have been as big as a man. Explanations for the Owlman’s appearance in Mawnan range from the supernatural to the mundane. It has been suggested Mawnan Church sits upon a ley line - a straight line that links sites of geographical and historical significance - making it a hotspot for supernatural activity. Some have suggested that the beast may merely have been an escaped aviary bird, albeit a particularly large one. Others still have dismissed the chilling legend as an imaginative hoax. With an elevation of 1,309 metres (4,295 feet), Ben MacDhui is the second highest mountain in the British Isles, bested only by Ben Nevis at 1,344 metres (4,409 feet). The mountain is a popular destination for climbers and hikers, attracting many visitors from all over the world. The mountain has long been said to be occupied by a mysterious presence known locally as Am Fear Liath Mòr, or the Big Grey Man. I was returning from a cairn on the summit in the mist when I began to think I heard something else other than my own footsteps. For every few steps I took I heard a crunch and then another crunch as if someone was walking after me, but taking footsteps three or four times the length of my own. I said to myself ‘this is all nonsense’. I listened and heard it again but could see nothing in the mist. As I walked on and the eerie crunch, crunch sounded behind me, I was seized with terror and took to my heels, staggering blindly for four or five miles nearly down to Rothiemurchus Forest. Whatever you make of it, I do not know, but there was something very queer at the top of Ben MacDhui and I will not go back there again by myself I know. There have been numerous other reported encounters since Professor Collie gave his account. Most describe an overwhelming feeling of panic, often accompanied by the sound of foreboding footsteps, and a desperate urge to flee. Physical descriptions of the Grey Man vary from a shadowy figure in the mist to a 20-foot-tall, Bigfoot-like creature. While some have suggested that the mountain may actually be inhabited by a Bigfoot-like creature, others put forward the theory that purported encounters with the Big Grey Man are merely illusions. 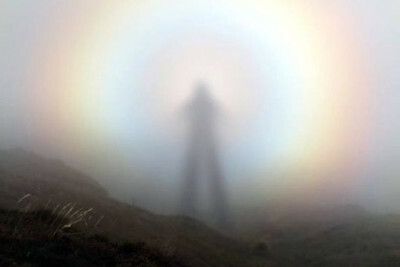 A phenomenon known as the ‘Brocken spectre’ has been observed on Ben MacDhui, whereby a specific set of atmospheric conditions result in an observer’s shadow being projected onto the clouds around them. This could explain the sightings of a shadowy figure in the mist. However, a far more poetic interpretation of the curious encounters puts forward the idea that the Big Grey Man is the manifestation of the spirit of Ben MacDhui itself. The streets of London were terrorised by the infamous Jack the Ripper during the latter part of the Victorian era. Everybody knows all about the gory Whitechapel murders. However, what most people don’t know is that the notorious Ripper was not the first Jack to have menaced London’s inhabitants during the reign of Queen Victoria. Sightings of Spring-heeled Jack began in 1837 - the same year that Victoria came to the throne. 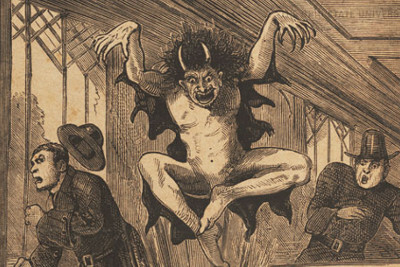 The earliest encounters occurred in London, with a “Devil-like” figure leaping at young women and ripping their clothes before taking off into the darkness. The menacing miscreant was said to possess the ability to jump extraordinarily high, vaulting over rooftops with ease. 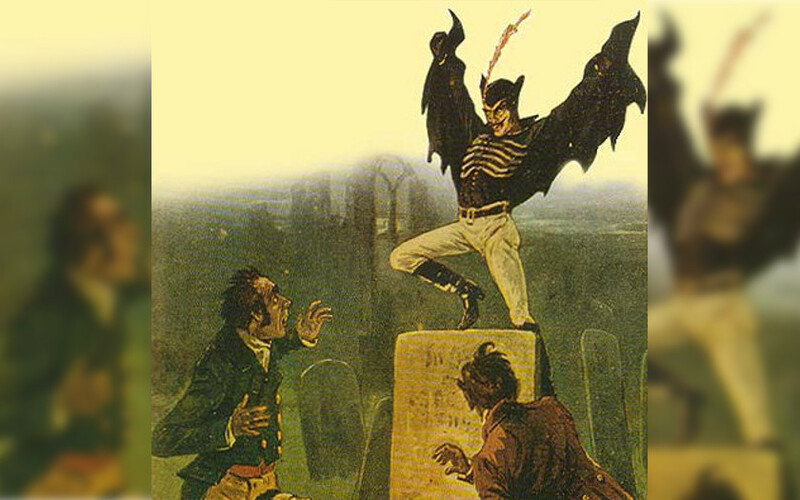 By 1838, Spring-heeled Jack sightings had been extensively covered by the British press. On 22nd February, the Morning Chronicle published the account of 18-year-old, Jane Alsop, who claimed to have been confronted by the frightening figure at her own front door. 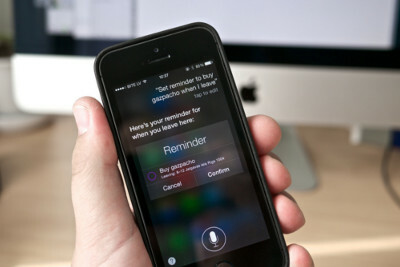 The young woman, hearing a disturbance outside her home, had opened the door to see what was going on. In the darkness was a man who claimed to be a police officer, who requested that Jane bring him a light, as he had caught Spring-heeled Jack. She fetched a candle as requested and handed it to the man who she now noticed was wearing a large black cloak. He threw off the cloak, revealing himself to have a “hideous and frightful appearance” and eyes that resembled “red balls of fire”. 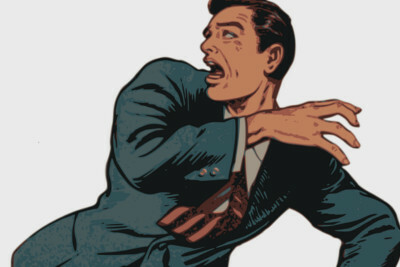 He “vomited forth a quantity of blue and white flame from his mouth” and proceeded to attack Jane, grabbing her and scratching her with his metallic claws. She managed to escape with the aid of her sister, and the attacker fled when the pair called out for help. 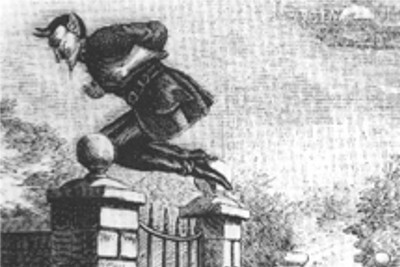 Spring-heeled Jack has been sighted all over Britain since these early reports, frightening locals in the Midlands, Liverpool and Edinburgh. There are even reports of the frightening figure having been sighted on the other side of the Atlantic, first appearing in Louisville, Kentucky in 1880. The most recent sighting seems to have been in Surrey in 2012, when a dark figure was allegedly seen darting across a road and leaping more than 15 feet over a roadside bank. In 1932, James Irving, his wife, Margaret and their 13-year-old daughter, Voirrey had been disturbed by strange noises coming from the walls of their farmhouse on the Isle of Man. The scratching noises could easily have been attributed to a mouse that had made its nest within the walls. The barking, spitting and blowing noises, on the other hand, made such a simple explanation unlikely. The farmer and his family soon came to notice that whatever was behind their walls possessed an incredible knack for mimicry, repeating various animal sounds and even entire nursery rhymes. Eventually, the Irvings’ houseguest revealed itself. Small, with yellow fur and a bushy tail, the creature told the family that he was “an extra extra clever mongoose” from India. Dubbed ‘Gef’ by James and his family, the clever mongoose became a permanent member of the Irving household, engaging his new companions in banal chitchat, gossiping about the neighbours and reminding James, Margaret and Voirrey when they had forgotten to do something. The bizarre little creature, however, was not always friendly. In fact, Gef was said to possess a frighteningly nasty temper. He would swear, throw objects around the house and make violent threats. On one occasion, Gef took a disliking to a child whom he felt had doubted his existence, angrily threatening to “blow his brains out” if he ever visited the farmhouse. On another chilling occasion, he told the Irvings “I could kill you all, but I won’t”. Gef was popular tabloid fare in the 1930s, attracting many visitors to the Irvings’ home. From the beginning, there were doubts expressed as to the truthfulness of the family’s claims. It was often noted that the elusive mongoose’s voice seemed to come from wherever Voirrey happened to be. 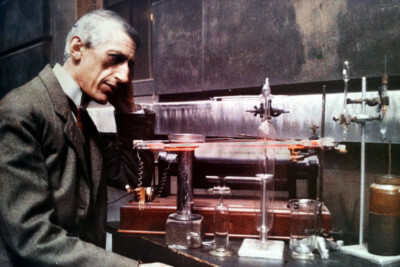 Analysis on a hair sample obtained by Voirrey cast further doubts on the Irvings’ assertions, with the hair being determined as belonging to the family dog. However, others have noted the similarities between Gef’s purported activity and the activities commonly associated with poltergeists. Margaret and Voirrey left the farm following James’ death in 1945. The following year, the new owner of the farm claimed to have shot and killed Gef. Voirrey, however, was certain that the body displayed did not belong to the extra clever mongoose. Voirrey maintained that Gef was not a fabrication or a hoax throughout her life, before sadly passing away in 2005.